Please note: AAERT is in the process of trademarking our Certification Designations CER & CET. AAERT will no longer use the CERT designation as a "combined" designation after the member's name. See the examples below with our newly certified members. In January of 2014, AAERT implemented a new process for our exams for CER & CET designation titles. We are pleased to announce that our new Online Certification process is going smoothly, and we continue to improve the exam procedures and content as we move forward. You can view our Exam Calendar on our website under the Fees and Deadlines Tab. Along with our Online Certification, we have incorporated a Recertification process for our CER and CET designations. This process is not something new to a certification process, but it is new to AAERT. Recertification allows our members to continue to raise the bar on their professionalism through continued education and community and association involvement. Anyone holding a CER, CET, or a combination of both, and who tested prior to January 1, 2013, will be required to be recertified with 2.0 CEU credits or take a one-and-a-half hour class offered at our 2014 and 2015 conference prior to their 2015 membership renewal date. Anyone holding a CER, CET or a combination of both, and who tested after January 1, 2013, will be required to be recertified with 3.0 CEU credits before the expiration date on their Certification Certificate. Further information can be found on the AAERT website on the Recertification Tab, or you may contact the AAERT Office. AAERT will continue to update and improve our list of ways to earn CEUs, and members will be notified via email of these changes. Welcome to the BeeRaider Keyboard. The Home of 21st Century Keyboard-data-entry! 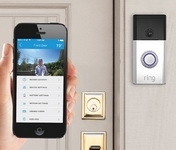 The Ring Video Doorbell for your Smartphone. Never miss a visitor. Below is a reminder of the various Member Benefit Discounts we have for our AAERT members. For a complete listing and more information, check out our AAERT Members Benefits Page on our website. 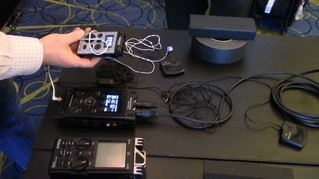 American Association of Electronic Reporters and Transcribers, Inc. The AAERT is on the move and picking up momentum! We’ve accomplished much during the last few months, and more exciting events are just around the corner. 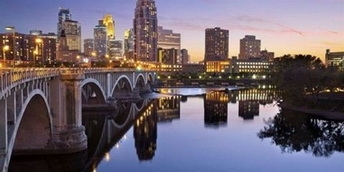 The AAERT annual conference will be held on June 25-27 at the downtown Minneapolis Marriott. Whether you are a first-timer or a veteran, you will find interesting educational sessions to assist and support you in your digital reporting and transcription career. 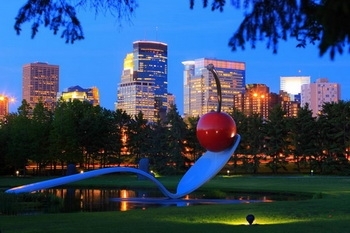 Many thanks to committee members Tammy Halonen, SueLynn Morgan, Nathan Peck, Tina Schaeffer, and Cheryl Wallat who volunteered their time and energy to create a stimulating agenda with talented industry professionals to present on a variety of topics. AAERT's second Executive Forum held on March 13, and 14, 2015, at the Renaissance Arlington Capital View Hotel, Crystal City, Virginia, was once again a perfect venue for the owners and executives of eReporting and eTranscription corporate members. The Executive Forum is structured to encourage owners and executives to exchange information and network with each other. This year the goal was to assist the attendees in confronting the challenges and changes heading our way. I sling my camera bag over my shoulder, grab my coffee mug, and step out the door. It’s a short quarter-mile walk to the little lake and I smile in anticipation of the sunrise. Within minutes I reach my favorite spot and settle into the grass. Tripod stretched, camera locked down, settings clicked and I give a happy sigh. The early morning fresh around me as I wait for sleepy gray clouds to turn soft pink then golden in a wide awake burst. I'm a proofreader for a court reporting company. My transcriptionist colleagues and I sometimes differ when it comes to some of my edits. After giving some feedback recently, the response was that maybe my having been educated in Kentucky made a difference in what I was taught when it came to the basic rules of grammar and punctuation. I think I sat there kind of slack jawed for a few minutes just thinking about my elementary school education. Fraternal Twins of the Grammar World - Homonyms!! Homonyms. 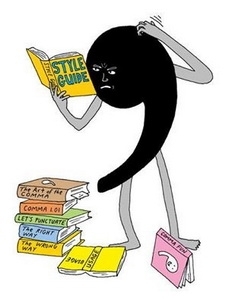 They're what I call the fraternal twins of the grammar world. Why? Because like fraternal twins, there are a lot of major similarities that can cause you, at a glance or in a rush, to mistake one for the other. But in fact, when you take a closer look, they couldn't be more different. Homonyms can be one of the most fascinating but also frustrating aspects of grammar if you do not make the concerted effort to have a concrete grasp of them. With springtime zephyrs blowing from the south and with the patio north of the large oak tree, sweeping the patio free of oak pollen tassels is a Sisyphean task indeed. Current usage defines zephyr as a soft and gentle breeze from any direction, but originally Zephyr was the name of the west wind. You are receiving The Court Reporter as an AAERT membership benefit.